However as well as occupying a place on the shelf of working class families across the Western world, sardines also count as one of the most nutrient-packed fish in the ocean. Including sardines in your diet can influence many aspects of your health from mental well-being to heart disease risk. Below are some of the key benefits you can receive from regularly including sardines in your diet. If you eat a standard 3.20oz serving of sardines, you’re consuming an impressive 23g of protein—that’s 41% of the recommended daily intake of the average sedentary man (53 for females). Protein is one of the most important components of your diet, as it plays a role in regulating hormones, muscle function, blood pressure, and energy production. In fact, there are very few bodily processes that don’t depend on protein to some degree. As a bonus, foods that are high in protein can help you avoid overeating by helping you to feel fuller for longer. One serving of sardines contains about 35% of the calcium you should be getting on a daily basis, helping to maintain strong bones (as well as teeth). Consequently, sardines are a particularly good food for postmenopausal women and others who are worried about bone loss or brittleness. The high phosphorus content of sardines also lends further bone support. Proper intake of calcium is important to fight the onset of osteoporosis, so foods like sardines paired with an active lifestyle can serve you well later in life. Sardines provide you with the fatty acids DHA and EPA, both of which are proven to reduce overall levels of bodily inflammation. Inflammation doesn’t just play a role in the pain related to common autoimmune diseases like arthritis but is also thought to contribute to deadly conditions like heart disease. Age-related macular degeneration is one of the major causes of lost sight in older people, causing impairments (or even blindness) in the central field of vision. Recent attempts to understand the underlying mechanisms of age-related macular degeneration have shown that eating sardines and other oily fish cuts the risk of developing this condition. Research shows that eating plenty of sardines reduces the likelihood of insulin resistance, which is one of the major bodily changes that occurs as diabetes begins to develop. In addition, the high levels of protein and healthy fats found in sardines assist in blood sugar regulation by slowing down the rate at which sugar gets absorbed into the bloodstream. A serving of sardines contains close to 90% of your recommended daily intake of selenium, and this is good news for thyroid hormone regulation. Those who are deficient in selenium often develop the symptoms of an underactive thyroid, such as weight gain, poor concentration, hair loss and fatigue. 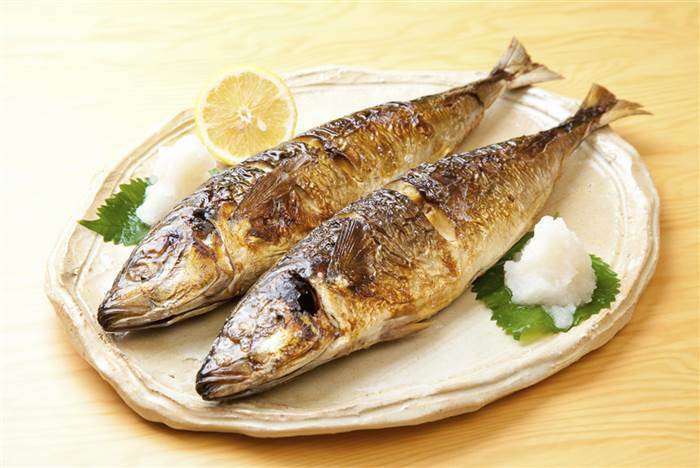 As a bonus, the high dose of selenium provided by sardines helps to maintain normal reproductive function in both women and men. If you’re worried about consuming toxic chemicals when eating ocean food, it may ease your mind to learn that choosing sardines is one of the safest ways to get the benefits of eating fish. They don’t live as long as salmon, tuna and other predators that are higher up the food chain, so they end up with less mercury and PCBs in their systems. Eating sardines also minimizes impact on the environment. Some studies estimate that as many as 4 in 10 Americans are deficient in vitamin B12, which can cause something called folate deficiency anemia. This is often due to a lack of red meat in their diets. The associated symptoms are highly unpleasant, including lethargy, weak muscles, impaired memory and a sore tongue. However, just one serving of sardines is densely packed with vitamin B12 and gives you way more vitamin B12 than you even need in a day, making these oily fish the best dietary source out there. If you feel like you’re always catching cold and flu viruses, adding more sardines to your diet could be useful. Studies on immune system function show that sardine fish oil is correlated with improved resistance to disease, as the oil appears to increase the numbers of cells available to fight invading pathogens. As well as helping your cardiovascular system by providing you with inflammation-fighting nutrients, sardines are proven to assist in the breakdown of LDL (i.e. “bad”) cholesterol. It is thought that omega-3 fatty acids thereby lower your risk of developing heart disease. If you’re looking to keep your skin smooth, healthy and free of deep wrinkles, it’s definitely a good idea to eat sardines on a regular basis. The fats that they contain help to support healthy skin cells and reduce skin inflammation. This latter benefit may also reduce the severity of acne in some sufferers. There is also increasing evidence of a strong link between a high intake of omega-3 fatty acids and a reduced risk of developing depression. Since a serving of sardines contains over 60% of your recommended daily intake of omega-3 fatty acids, they can help you fight off low mood and keep your mental health on an even keel. Finally, although sardines are generally good for you, note that there is an exception to this rule. 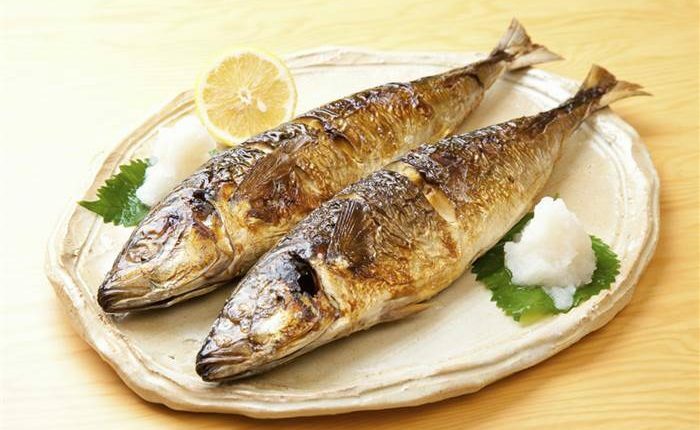 If you suffer from gout or have been told that you’re prone to purine-related health problems, you should either reduce or avoid sardine intake altogether. Alexander is a full-time freelance writer with a passion for positive and sustainable living. He is interested in writing about the effective habits and techniques people can use to live a happy and healthy life in both body and mind. You can read more of his writing at his personal website. Nice Alexander, Thanks for Sharing This Post Related health.